Almost halfway through the rainy season in Sierra Leone we remember when the nation was in the midst of its worst cholera outbreak in 15 years. On September 19, 2012, the World Health Organization (WHO) reported more than 19, 000 cases and 274 deaths. The WHO and Sierra Leone’s Ministry of Health and Sanitation established a cholera control and command center to coordinate the response to what had turned into a national emergency. By the end of the crisis, there were 23,000 cases and 300 deaths. August is the worst month for rain and the time when cholera can peak. Speaking to Nina DeVries last August, the political head of the nation's beleaguered health ministry, Miatta Kargbo, said things have improved in terms of prevention and treatment of cholera. A water, sanitation and hygiene specialist for UNICEF said there is now a cholera task force comprised of international agencies and ministry of health staffers, who are now better trained to detect and treat cholera and that UNICEF has been working to improve water facilities across the country. Still, no one is overly optimistic. Now, Sierra Leone's Ministry of Health is battling a new crisis: Ebola, an extremely dangerous virus that causes the horrific Ebola hemorrhagic fever in humans and other primates. Yesterday, President Ernest Bai Koroma used a radio address to talk about what the nation’s health system and its partners have been doing to detect, treat and prevent Ebola. He also gave an update of Ebola cases as of July 1. For his supporters, the president’s 1000 plus words were worth more than any picture the opposition could paint. To his critics, timing is everything. It doesn’t help they say that the president made no public statement for weeks and hasn’t visited Kailahun or Kenema since the Ebola outbreak. 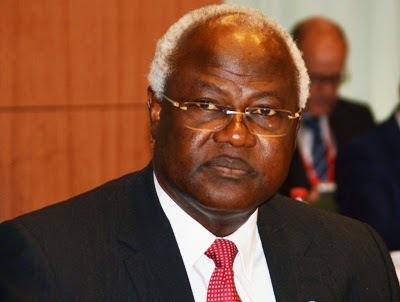 Koroma’s speech came on the eve of a 2-day meeting of African health ministers aimed at devising a new response plan. Critics blame President Koroma because they feel the central government’s response was inadequate. 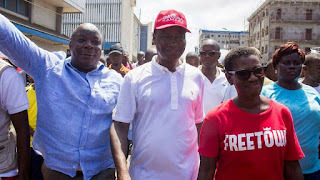 They are angry because, in their view, he appointed someone with little experience as minister of health and believe the perception that the government seated in the capital, Freetown, hasn’t stuck its neck out to help them. Kailahun lies approximately 75 miles north-east of Kenema and about 300 miles (by road) east of Freetown, the capital of Sierra Leone. 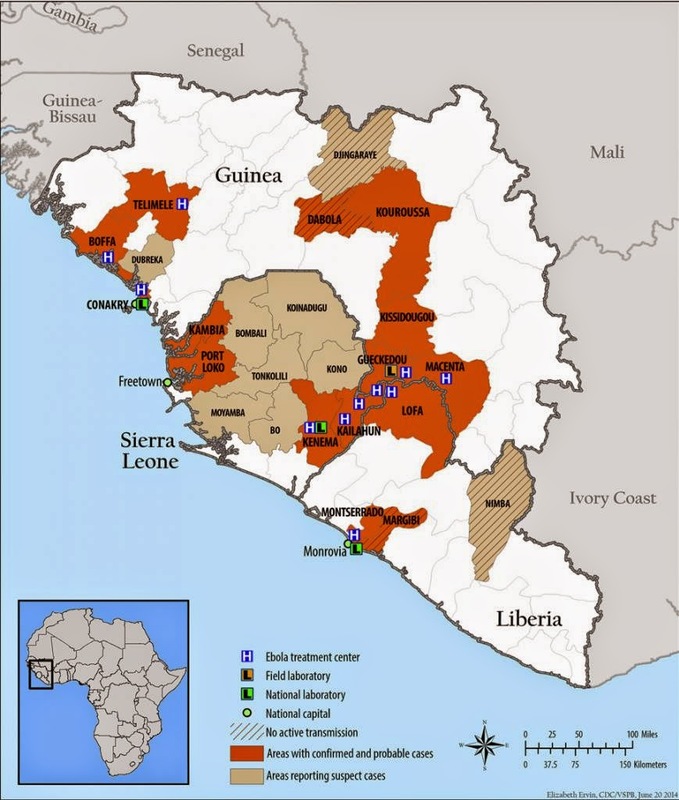 According to the World Health Organization (WHO), although the government of Sierra Leone has been working intensively with WHO and other partners to ramp up a series of measures to control the outbreak, the Ebola virus disease outbreak in Sierra Leone, Guinea, and Liberia in 2014 has become a challenge. The countries are working to bring supportive care to the ill, inform affected communities of recommended practices, trace contacts of infected patients, control infections in health care settings, and taking other measures to control the outbreak. Despite their progress in implementing preventive and control measures, health authorities still face challenges in curbing the spread of the outbreak, the report said. Lans Gberie, a coordinator and expert at UN Security Council Panel of Experts on Liberia, made a recent trip to the Mano River region and had this to say. In his radio broadcast Tuesday, President Koroma confirmed that as of July 1, 2014, 388 suspected Ebola cases have been tested, with 199 laboratory confirmed cases, 65 confirmed deaths, and 23 cases discharged. All of these cases occurred in Kailahun and Kenema districts, the president said. He also spoke of what the government of Sierra Leone has done since the crisis went viral. "When Ebola hit our sister republic of Guinea we commenced and completed the training of 300 health workers on Ebola case management. And we have been training more on a weekly basis. Since the first reported case of the Ebola virus in the country we have acted to tackle it. We designed an Ebola Response Plan, set up an inter-ministerial committee to mobilize support across government agencies and established a National Task Force comprising committees on case management, laboratory and surveillance, logistics, communications and social mobilization. We have set up pre-referral centers in Koindu and Daru, treatment centers in Kailahun and Kenema, and observation units in government hospitals and health facilities all over the country. 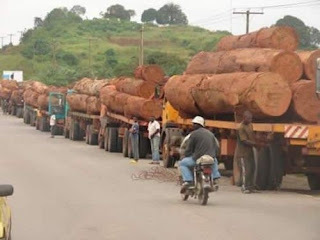 Fully cognizant of the fact that government cannot do all, we engaged the motor divers union, bike riders’ association, market associations, civil society organizations, Members of Parliament, political parties, the inter-religious council, musicians and the traditional leaders. We engaged our international partners for support, assembling an international team of professionals to aid our action against the disease. We have provided resources to MPs (Members of Parliament) from Kailahun, Kenema and Bo for awareness raising purposes. And we ask the leadership of political parties to come up with their plan of action that we will support. Together with partners, we are also providing a door-to-door sensitization on Ebola. And with the World Food Program, we have commenced the provision of food subsidies targeting 30,000 people in Kailahun and Kenema. This will continue for three months. But we need to do more. That was why last week I instructed the provision of an additional Le 8 billion to support the fight against Ebola. Working with our partners we have just recruited and trained an additional 150 volunteers in Kailahun for tracing people who have had unprotected contact with Ebola victims in Kailhun and we are soon commencing training of the second batch of 150 volunteers in Kenema. In a separate statement yesterday, the WHO said that the occurrence of EVD (Ebola virus disease) led to denial and panic and has triggered myths and misconceptions surrounding treatment and control efforts in Kailahun and nearby districts that border Liberia and Guinea, wrote Lisa Schnirring, staff writer at the Center for Infectious Disease Research and Policy in the Academic Health Center of the University of Minnesota, Minneapolis. Media reports about some of the public perceptions of the disease as well as suspicions about the care patients are receiving in treatment centers bolster the WHO's assessment. In some instances, members of the public have stoned medical staff working the treatment centers. Some patients have left treatment facilities against medical advice and are being harbored in private homes, amplifying the infection risk and making it nearly impossible for outbreak responders to trace contacts. Reporting a Reuters news article, Schnirring also said that Sierra Leone health officials estimate that at least 57 confirmed or suspected Ebola patients have fled or gone into hiding. The police are under instructions to intensify actions against those who violate provisions of the public health ordinance of 1960. The law states that anyone who obstructs or interferes with the performance of a medical team in relation to an outbreak like Ebola is guilty of an offence and liable to punishment. Anyone who knowingly harbors an Ebola victim without notifying health authorities is also guilty of an offence and we will ensure that the full penalty of the law is meted out on them. We are increasing police presence around health facilities to uphold the law and prevent incidents of violence against health workers and vandalisation of health facilities. We have also instructed the police to ensure that all vehicles and their passengers entering and leaving Kailahun and Kenema districts subject themselves to the authorities at various checkpoints. We also expect our Paramount Chiefs, traditional rulers, mayors, district council chairpersons and councilors to support the implementation of all measures to combat the disease. Also all local and cross border trade fair or LUMAS are prohibited until such time when the Ebola virus would have been contained. We commend the chiefs and the people of Kono and Pujehun districts and urge them to sustain their cooperation with the authorities to prevent the spread of the disease. We salute the people of Bo, Koinadugu and Kambia for their vigilance and cooperation. We stand with the chiefs of Kailahun and Kenema in their continued effort to combat the further spread of the disease. We commend the volunteer nurses and health workers in Kailahun who are making the personal and professional sacrifice to identify, diagnose and treat Ebola patients. I hereby instruct the immediate absorption of these brave volunteer nurses and health workers in Kailahun and Kenema into the civil service. We know very well how this virus is transmitted, noted Dr Keiji Fukuda in April. Speaking at the Guinea presser, Fukuda, UN assistant director-general for health security since 1 September 2010, said "We know the kinds of steps that can be taken to stop transmission. This is a virus which is transmitted either through body fluids or by close contact with an infected person. So if people take the right precautions, this is an infection for which the transmission can be stopped and the risk of getting infected is low with the right precautions. What this means is that outbreaks can be stopped through many of the public health measures being taken." While the government of Sierra Leone ramps up tracing; case management; infection and prevention control; social mobilization; and situation reports, President Koroma's supporters agree that Ebola's public relations nightmare spread online before his communication team had time to react. This is what happens when a crisis goes viral.